A very different kind of recorder. Smart yet simple. The perfect professional recorder for technophobes. Ideal for meetings & oral history. At last. Audio recording of meetings, conferences, oral history, court proceedings, music and other events, has been a constant in the professional world for decades. But not all of us are professional technicians with a knowledge and understanding of recording to commercial and broadcast standards. More and more non-technical people and organisations need to record to these high standards but do not wish to, or do not have time to become technically trained to do so. There is even some fear of the equipment they need to do the job. This is where the Superscope PMR61 comes in. A brand synonymous with professional audio recording, Superscope has created professional audio devices for more than five decades. Their great reputation has been mainly built within the US where their kit is designed, but now this excellent PMR61 recorder - tried, tested and successful for nearly 2 years in the US - has been given the CE mark and can therefore be sold in the UK and Europe. As you will see, the PMR61 is the next generation. 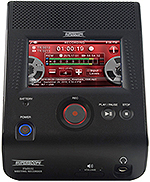 Possibly the world's smartest digital audio recorder. The PMR61 is clearly a different type of recorder. Its uncluttered, non-technical design is comfortable in any meeting, interview or conference room, while still compact enough to fit in a briefcase or backpack. Easy operation is the key to the PMR61 design. 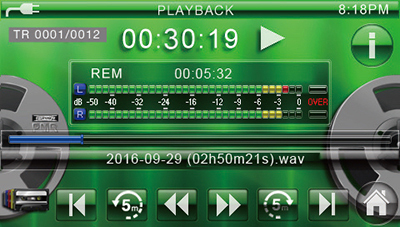 Users will immediately recognize the lack of buttons and switches that often introduce fear, doubt and risk into the recording process. Not everyone is a skilled audio engineer. Correct input selection, input gain adjustments and record levels are paramount in achieving the desired results. The PMR61 automatically senses input sources and determines correct recording levels. Its Record Check feature is an automated process that determines the setup for you. During Record Check, a process lasting for 15 seconds, the PMR61 selects the appropriate mic/line sensitivity, attenuation and input gain for each channel, and optimizes the recording levels to provide a professional recording setup. Afterwards, just touch to listen to the test results and you’re ready to record. 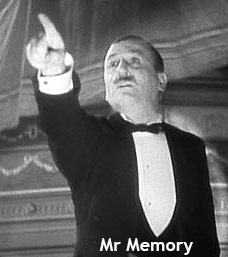 Experience has taught us the simple fact that recordings can fail because no one remembered to press record. Automatic Start Record is a function that can be set to automatically begin recording when the unit is powered on: ideal for one on one interviews, or in court proceedings where reliable recording is essential. 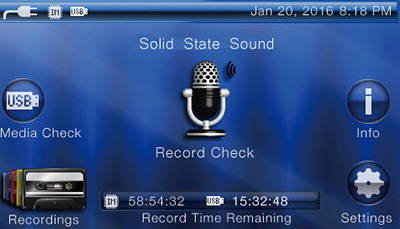 Automatic Start Record can also be set to begin recording when the microphone senses a pre-determined audio level. This function is ideal in meeting environments or in conference recording applications where start times are sometimes varied and the recorder is unattended. The PMR61 provides a combination of 16Gb of internal solid-state memory as well as a USB socket on its left side panel. Simply plug a USB stick into it and your recordings are ready to go instantly you've finished. What's more, you can record to both the internal memory as well as the USB stick at the same time. A fail-safe archive for every meeting or event. For some applications, the PMR61 may have a permanent home at a meeting table or on a desk. In these instances, the included DC power adapter can be utilized to power the unit. However, for portable field work reliable battery power is essential. While the PMR61 can operate on four off-the-shelf AA alkaline batteries, it will also work using our AA NiMH rechargeable batteries (see our webshop below). This low-cost rechargeable technology will power the PMR61 for over 4 hours depending on record settings, and when plugged in the PMR61 will automatically recharge them. Moreover, if power is interrupted when the PMR61 is operating on AC mains power, the batteries will seamlessly take over, ensuring the continuation of critical recording. 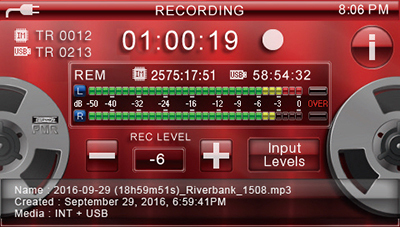 A critical aspect of ensuring a high quality recording is that no settings be altered once the recorder is setup for an event. This is why the PMR61's software can enable password protection to prevent a failed recording due to changes to the record settings by accident or mistake. 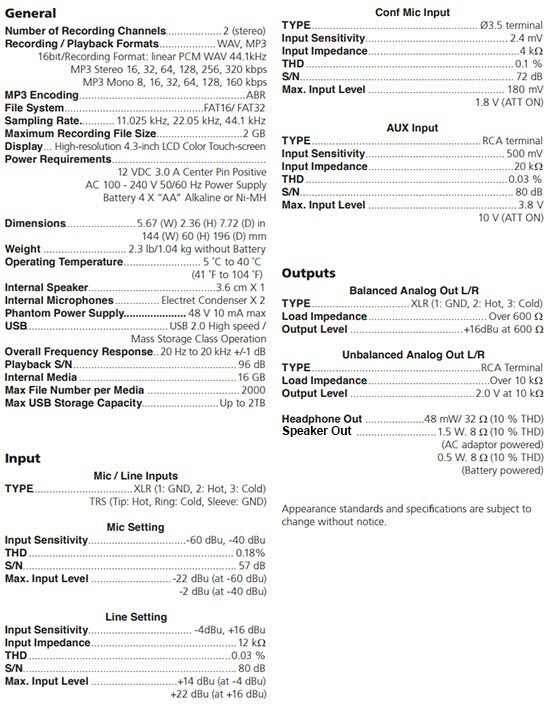 Any file recorded in the PMR61 can be played back and reviewed via several means: the headphone output, balanced and unbalanced line outputs, or even the internal speaker. Moreover, the ability to easily identify files is a key feature of the PMR61. Each PMR61 recording can be named with two unique identifiers, which can be included in the file name along with the date and time the recording was created. In addition, the intuitive, touch screen keyboard, makes renaming files on the PMR61 as easy as texting on your mobile. While the PMR61 can record CD-quality 16-bit, 44.1 kHz WAV files, it also employs non-proprietary MP3 compression settings and sample frequencies that produce greatly reduced file sizes that are easily distributed as email attachments. Millions of business meetings, lectures, conferences, seminars, legal proceedings, oral history interviews, musical performances, and so on are taking place every day. There is often only one chance to record them properly. Do not miss them due to poor record settings, improper setup, or simply by not pushing the Record button. 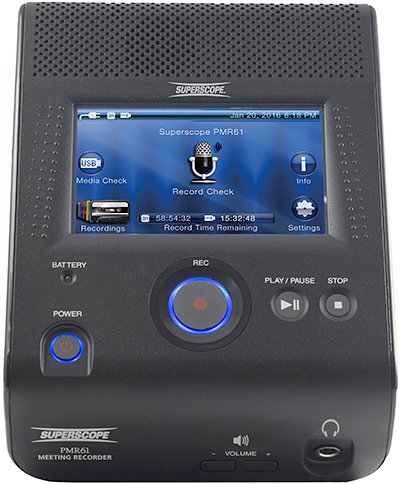 Superscope's PMR61 help prevent failed recordings, and to provide an ease of setup and operation never before realized in a stand-alone audio recorder.